Who is ready to celebrate Apple picking season. 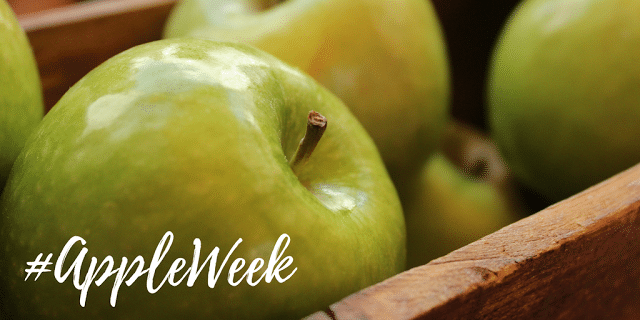 We have a great group of blogger bringing you over 100 awesome recipes to celebrate #AppleWeek. 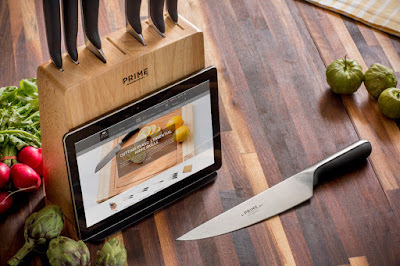 This year we have partnered with some great Sponsors to who have donated these awesome prizes for our #Appleweek giveaway: So be sure to sign up below and stop by every day for new recipes and enter for your chance to win these great gifts from our sponsors. Rodelle, Dreamfarm, Casabella, Flahavan’s Irish Oatmeal, Pryex, Chicago Cutlery, Rainier Fruit, and Veggie Wash for providing prizes for #AppleWeek free of charge. 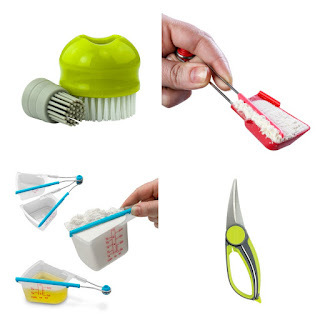 A baker’s dream come true! This delicious prize pack includes premium vanilla products, gourmet dutch-processed cocoa, and specialty extracts. 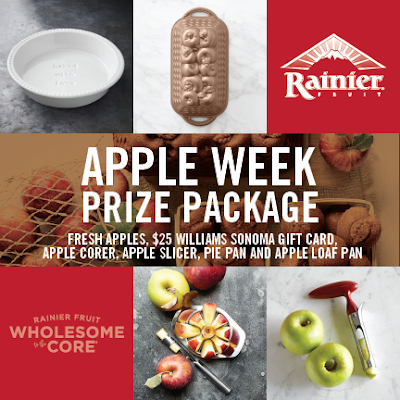 A prize pack from Rainier Fruit including a box of freshly harvested Rainier Fruit apples, a stainless steel apple slicer, apple corer, “Baked with Love” ceramic pie pan, copper apple loaf pan and a $25 Williams Sonoma gift card! Check out of today’s #Appleweek recipes from my blogger friends and stop by tomorrow for my Apple Fritter Pie recipe and more chances to enter the giveaway.